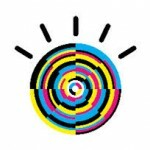 Laurie: Hi, this Laurie McCabe from the SMB Group, and in today’s SMB Spotlight I’m speaking with John Mason, who is IBM’s new General Manager and VP for Midmarket. Hi John. Thanks for joining me on this two-part discussion about developments at IBM in the midmarket and SMB space. In our first discussion, I’d like to focus on the IBM acquisition of SoftLayer, which I understand provides dedicated hosting, cloud computing and cloud services offerings. Before that though, I’d like to learn more about you and your background. I understand you’re relatively new to IBM. Can you tell us a little bit about where you’ve been and what kind of experience you bring to your role? John: Thanks Laurie. I appreciate the opportunity to speak with you. I joined IBM three months ago. I started my career at Compaq in the 80s. I spent thirteen years there and moved to Cisco, and ran the SME and midmarket business with Cisco in Europe, Middle East, Africa. Then, I ran global channels for Nokia’s Enterprise business. I also ran a mobile cloud service in eReading and News for a couple of years, and a white label mobile messaging service provider that had been acquired during my time there. So, when the discussion started with IBM, it was an interesting combination of different hardware, software and services businesses in small and midsize enterprise and across mobile and social. It was the opportunity to combine that with IBM’s amazing global reach in over 170 countries and find ways to get that to the millions of small and midsized companies. Many are possibly not even doing any business with IBM today but can benefit from those solutions. Laurie: What will you be focusing on in your new role as GM, John? John: Finding new opportunities to grow the business and bring mobile and social and analytics, and particularly cloud solutions to small or midsized businesses. This means working very closely with our partner organization and focusing on MSPs as the key route market. Laurie: Thanks for that background. So help me understand a little bit about the SoftLayer acquisition and why it’s so important. IBM makes a lot of acquisitions in general, and I think probably at least a dozen in the cloud area. What makes SoftLayer stand out for IBM? John: This is one of those few times in our industry where there’s an absolutely fundamental shift that changes everything. When client-server computing started taking off was one, and when mobile really went to a whole new level was another. Now, with cloud, we’re seeing a major shift, which is very beneficial to smaller and midsized companies. They may not have the IT expertise in-house to take advantage of some of the technologies that larger companies are able to use, but now through cloud, they can use more advanced solutions without having to deal with the complexities. Laurie: Tell us about what SoftLayer does and how that will help IBM help SMBs? What does it give IBM you that it didn’t have in the cloud area? John: The SoftLayer acquisition was driven by a change in the way that customers are looking to buy. I would say it’s as simple as answering these questions. Is this technology solution is going to be hosted at your place or mine? Is this something that I have to build and manage on my premises, or is it something that I can tap into through a web browser to connect to infrastructure that’s sitting somewhere else outside of my physical office buildings? Then, is that going to be dedicated to me or is it something that I share with somebody else? So, it’s really your place or mine, shared or dedicated, and what software brings is the ability to offer the full range of different deployment options. That’s whether it’s a complete public cloud solution or it’s a private cloud or it’s some mix of some parts public, some parts private in a hybrid deployment. SoftLayer lets us accelerate our ability to deliver those pieces across a broad range of different businesses and different services. Laurie: What about purchasing and pricing mechanisms for customers? John: Yes, that’s really key. It’s really important to make it easy and simple to understand what the offering is, and how can I choose the combination that is right for me. Then make it really easy for them to purchase and deploy that solution. The beauty of SoftLayer is they have a very simple credit card purchase capability. You can be up and running literally within the hour and choose whether you want to be billed monthly or hourly. It’s simple and flexible, and that’s as important as the underlying technology. Laurie: One of the other things that I’m curious about is that it seems like managed services is another big part of the SoftLayer business. IBM has been heavily courting managed service providers (MSPs) for quite some time. Does this create a conflict with them? Laurie: Will they be able to resell SoftLayer? John: Yes, there’s that too. MSPs can use SoftLayer themselves as part of their own infrastructure, or they can resell it to customers together with other value-add services that they bring to the mix. Laurie: Where does SoftLayer sit in terms of IBM’s SmartCloud services? John: SoftLayer gives us the ability to accelerate our own leadership position, scale out the smaller cloud service portfolio, add additional higher value services and solutions across mobile and data analytics, social–together with partners. It’s the combination of all of that into a solution that adds value for customers. Laurie: What kind of experience in SMB and midmarket does SoftLayer bring that IBM can leverage, and how will you do that? John: I mentioned this earlier in our conversation when we talked about what attracted me to the role at IBM. Frankly, the SoftLayer acquisition hadn’t closed but had been publicly announced. That was a real additional level of credibility that we could use to address the SMB market because SoftLayer had over 20,000 SMB customers already. They clearly have a very strong focus on that market and a solution that is very simple, easy for the smaller customer to understand, choose, purchase, deploy and operate. So, to me that said IBM’s not just talking about the midmarket, but actually putting a significant investment in technologies, ease of purchase and deployment to enable this. SoftLayer convinced me that we very serious about this and that was a decider for me. Laurie: What does the bigger go to market plan look like? Many SMBs still think IBM doesn’t have solutions that are relevant for them. How are you going to change that? John: First, we need to be careful that we don’t hug SoftLayer to death. We need to give them space to continue to operate their own very successful go to market model. There’s always a risk when a big company acquires a smaller company that sometimes the big company process can slow down the smaller company. We will be very diligent about ensuring that doesn’t happen and that SoftLayer continues to operate somewhat independently with their existing go to market model. At the same time, we need to take advantage of what they bring and combine that with IBM’s traditional business partners, managed service provider partners, and some of the ISVs that we work with. Really, this is more about connecting the ecosystem that needs to work together to deliver solutions to small and midsized companies. SoftLayer helps us accelerate that with a full range of all types of different deployment options–everything from bare metal dedicated servers, virtualized shared servers, managed private and public cloud through to a full range of storage and networking and managed services. Laurie: So, what does success look like here if this all goes according to plan? John: I think we’ll see continued acceleration of cloud adoption within small and midsized companies and SoftLayer will help to significantly accelerate the deployment of both hybrid private and public cloud solutions for small and midsized companies. I certainly expect the 20,000 existing SoftLayer customers will increase significantly without putting a specific number on it. Beyond that, it’s about helping MSPs to accelerate their offerings with more value-add services above and beyond the infrastructure layer. That way we really bring complete solutions for small and midsized companies that are simple to deploy and use. Laurie: John, thank you for joining me, and I look forward to our next discussion, when we will talk about IBM’s other new plans for SMB and mid-market customers. John: Thank you Laurie. I appreciate the opportunity to have this discussion and certainly look forward to future discussions we’ll have. This is the first of a two-part SMB Spotlight interview with John Mason, IBM’s General Manager and VP for Midmarket, sponsored by IBM. In the second post, I’ll ask John about other new IBM strategies and developments for SMB and midmarket companies and channel partners.